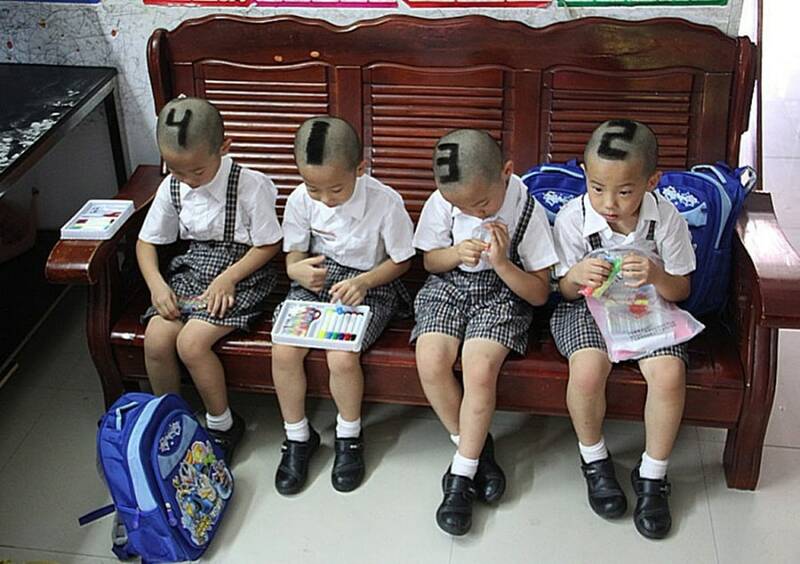 Six-year-old quadruplets from Shenzhen in southern China had their hair shaved into various numbers before they went to school for the first time, Agence France Presse reports. Their parents decided to mark them with 1, 2, 3, 4 on their heads — in the order that they were born — to make it easier for teachers and classmates to tell them apart. EDITOR'S NOTE: This picture was taken on Sept. 3, 2012 and made available to NBC News on Sept. 6. Quadruplet boys in China have had numbers shaved into their hair based on their birth order so that people at their school can tell them apart. TODAY.com's Dara Brown reports.